The results of aggression against humans can be hideously obvious, but may also be entirely concealed from casual inspection. Often, only exploration of the hidden recesses of the mind via psychiatric evaluation, or radiologic exploration of the inner recesses of the body can reveal the evidence of such violence. This book focuses on the latter. 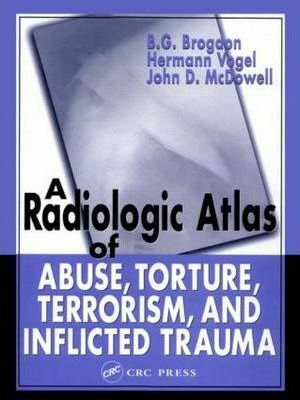 A Radiologic Atlas of Abuse, Torture, Terrorism, and Inflicted Trauma combines the lifetime experience of two distinguished radiologists and a renowned odontologist to provide an unprecedented collection of radiographs depicting the results of violence on the human body. Victims of aggression range from the tiniest infant to entire populations. Hopefully you will never encounter every situation covered in this book. However, should you come across any, you will want A Radiologic Atlas of Abuse, Torture, Terrorism, and Inflicted Trauma within reach. . . make it a useful reference. I have no hesitation in recommending this book to all those involved in Forensic Science."